Online concierge service EZBZ has paired up with My City Mommy, a network of 100 local mommy sites across the US, to launch a special virtual concierge platform. The platform enables users to easily find products or services offered by local businesses and for those businesses to bid on the user requests. 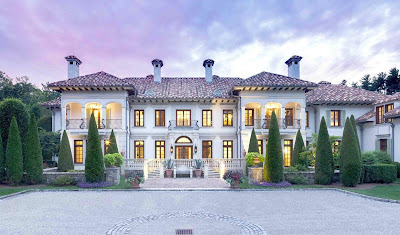 For users in need of a specific product or service, they can now use EZBZ's unique concierge technology via their local My City Mommy website. Furthermore, each My City Mommy website has an interactive directory of local EZBZ businesses, and an online Shop where users can purchase great deals on products and services offered by local EZBZ businesses. This season’s finale of Dancing with the Stars is bound to be the biggest yet – spanning two days, two stages and two audiences! Geraldo Rivera, previously a finalist on reality business show The Apprentice: Celebrity Edition, rejoined the Season 22 cast for one last performance together with his dancing partner Edyta Sliwinska. The American Cancer Society hosted its 11th annual Taste of Hope event on Wednesday, May 25th, 2016 at the Metropolitan Pavilion in New York City. The prominent culinary, wine, and spirits event featured some of New York’s most popular restaurants, chefs and beverage vendors. Guests enjoyed a walk-around tasting where they had the chance to sample trademark dishes, premier wines and spirits, and inventive cocktails. Participating restaurants and chefs included cancer survivors Eric LeVine of Morris Tap & Grill and Chef Antonio Prontelli of Rock Center Café. Dishes served ranged from savory delicacies such as Fish Tacos from Almond, Mini Pulled Pork Sliders from Dinosaur Bar-B-QUE and Watermelon Gazpacho with Lobster Salad from La Fonda Del Sol to the sweet Southern Style Cupcakes from Doc’s Cake Shop and Banana Pudding from Magnolia Bakery. 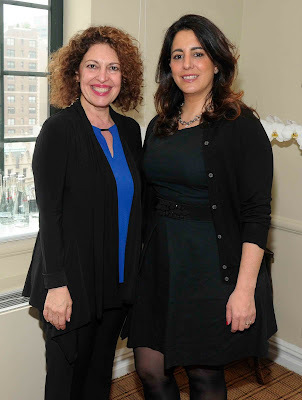 The Samuel Waxman Cancer Research Foundation (SWCRF) hosted its third annual Collaborating for a Cure Luncheon at the private Upper East Side residence of Andrea Stark. The event honored Oscar de la Renta with a fashion presentation showcasing the fashion house’s pre-fall 2016 designs before a private audience, and benefited the Samuel Waxman Cancer Research Foundation. Guests in attendance included Samuel Waxman, Marion Waxman, Ramona Singer, Andrea Stark, Jean Shafiroff, Pamela Morgan, Erica Fineberg, Consuelo Vanderbilt Costin, Ingeborg Rennert, Bernice Schwartz and Randi Schatz among others. The Accessible Art Fair and its US partner MvVo ART, hosted a Jury Meeting where over 50 top contemporary artists were selected by a prominent jury on May 2nd, 2016. The lucky artists selected will be part of the 2016 Accessible Art Fair for top emerging and mid-career artists of quality which will be held at The National Arts Club in Gramercy Park, New York, November 1st to November 25th, 2016. The final list of participating artists will be released by the art fair’s primary media partner Artnet – the leading online resource for the international art market – later in May 2016. The 34th Annual Fred & Adele Astaire Awards, which recognizes outstanding achievements in dance on Broadway and in film. This year’s Award Recipients included Judith Jamison, Artistic Director Emerita at Alvin Ailey American Dance Theater and Nigel Lythgoe, Creator & Executive Director of So You Think You Can Dance. Choreographer Maurice Hines received a special award for his body of work in the field of dance. Dr. Joan Fallon also received an award for special achievement in the field of autism and related disorders. The gala evening, which was held at the Skirball Center for the Performing Arts in New York, commenced with a Red Carpet & VIP Cocktail Reception followed by the Performances & Awards Ceremony, after which a VIP After Party was held at the Hebrew Union College to which some 350 award recipients, performers and well-wishers attended. Over the course of the night, a number of special performances were made. NEWSDAY -- Long Island needs volunteers. Stat. According to charity and governmental agencies, the number of Long Islanders who volunteer for the myriad needs in the two counties has dwindled significantly since superstorm Sandy in 2012. Officials spoke at the local chapter of the American Red Cross in Mineola on Tuesday morning, urging residents to step up and volunteer. 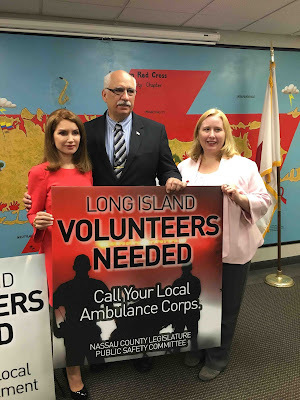 “There is a need for 4,000 more volunteers in the region,” said Liz Barker, the acting CEO for American Red Cross of Long Island. The chapter covers Nassau, Suffolk, New York City and the lower Hudson Valley. On Long Island, the American Red Cross has about 1,100 volunteers, she said. The organization has positions from crisis team volunteers, to those who work behind the scenes to package, transport and help with paperwork. Laverne Cox was seen wearing Simon G Jewelry to the Billboard Music Awards After Party.The star was in pure fashion. New York - National Endowment for the Arts Chairman Jane Chu has approved more than $82 million to fund local arts projects and partnerships in the NEA's second major funding announcement for fiscal year 2016. 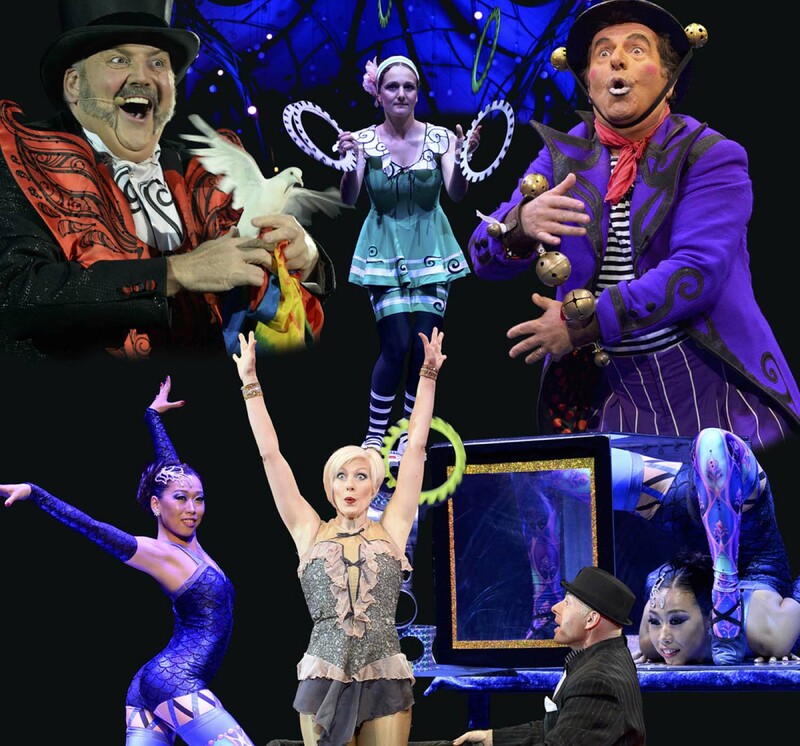 Included in this announcement is an Art Works award of $30,000 to support Big Apple Circus' renowned community outreach programs: Clown Care®, Circus of the Senses, Big Apple Circus Embraces Autism, and Vaudeville Visits. This is the circus' third year of funding for the programs, helping to bring the arts to under-served populations for yet another season. "The arts are all around us, enhancing our lives in ways both subtle and obvious, expected and unexpected," said NEA Chairman Jane Chu. "Supporting projects like the one from Big Apple Circus offers more opportunities to engage in the arts every day."